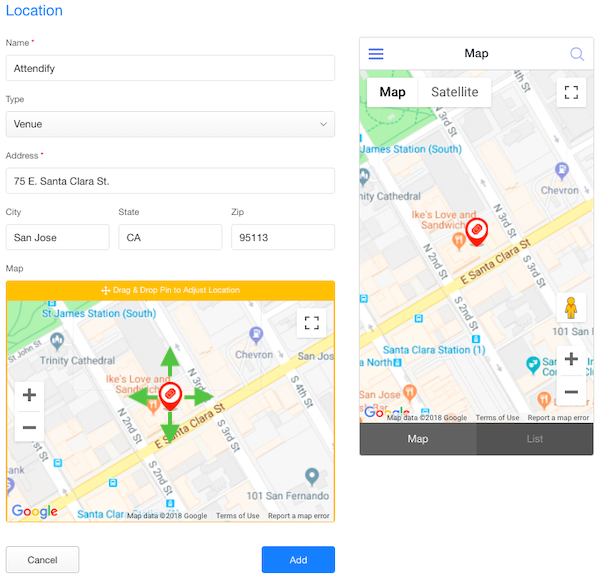 Add a dynamic Map to help your attendees find their way to the venue and other locations and get the best experience at the event. Click the “Add Location” button in the center of the screen. 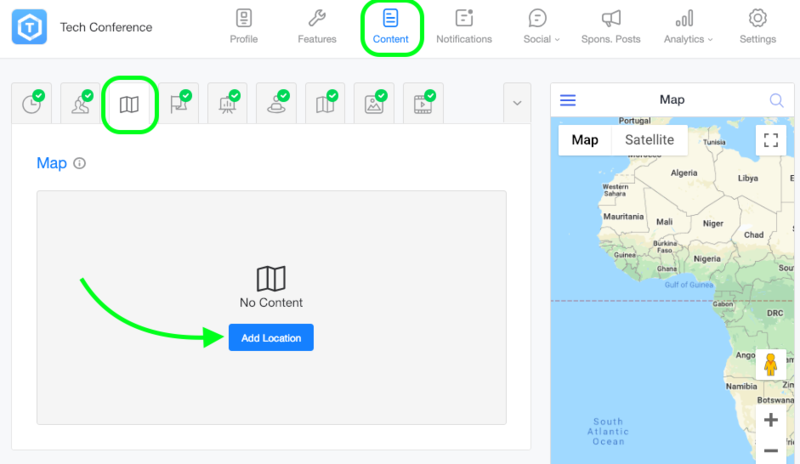 Enter location information, including a title, address, and location type. A pin will be added to the map at the precise location indicated. Also, you can drag and drop the pin to adjust its location if needed. That’s it, you’re all set. Please note that you can update content instantly, anytime, even after your app is published. 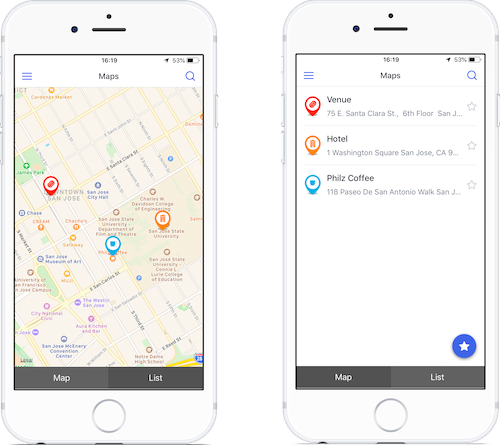 Check here to learn how to add an Interactive Map to your app.